"The simplest and most savory way to dress up chicken breasts for a quick supper is just to top them with mayonnaise, sprinkle with Parmesan cheese and bread crumbs, and bake. Dinner will be ready in 30 minutes or less." Combine Hellmann's(R) or Best Foods(R) Real Mayonnaise with cheese in medium bowl. Arrange chicken on baking sheet. Evenly top with mayonnaise mixture, then sprinkle with bread crumbs. 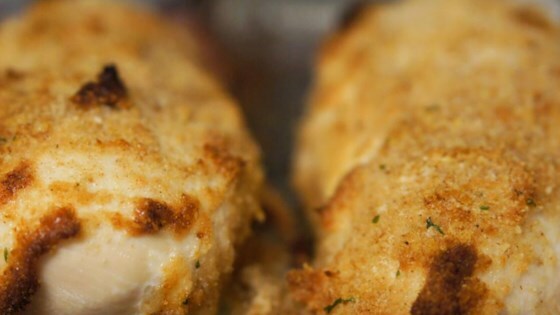 Tip: Omit Parmesan cheese and have Magically Moist Chicken on table in less than 30 minutes.